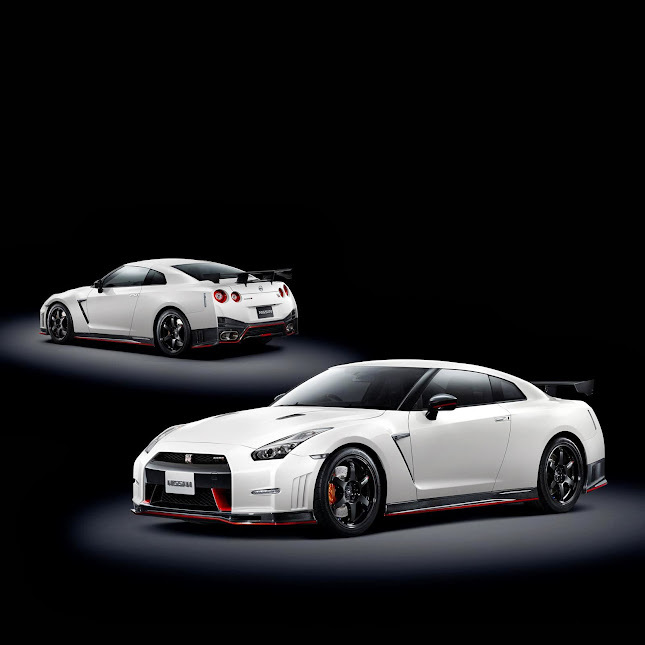 The NISMO GT-R is here! It's not a multi million super exclusive hypercar, it's just a very well made Japanese computer that can go very fast while providing amazing driving sensations and that can lap the Nürburgring Nordschleife in 7:08. 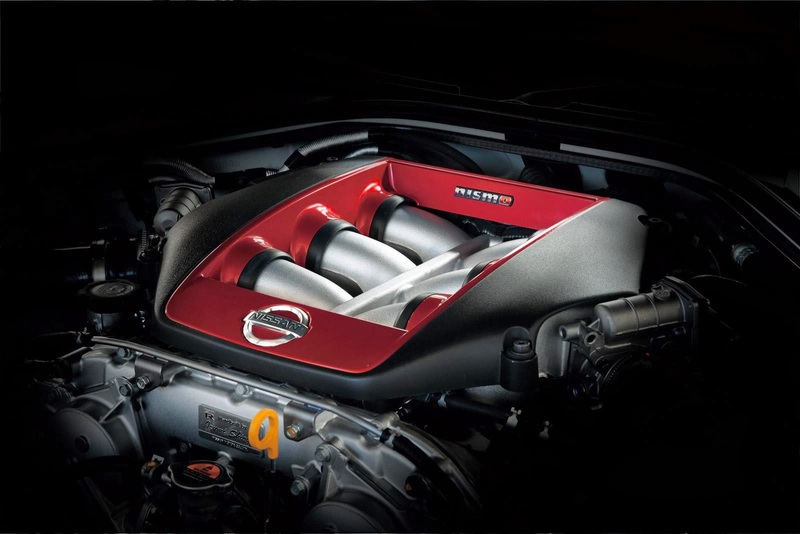 This impressive performance was achieved in part thanks to the tweaks applied to the twin-turbo 3.8-liter V6 engine which has been pushed to 600 Hp and 652 Nm of torque. The suspension has also been upgraded with new springs and custom Bilstein dampers to improve the handling and increase the grip and three driving modes are available for the driver: Comfort, Normal and Race. The new aerodynamic package includes a carbon fiber rear spoiler, redesigned front and rear bumpers and side skirts also with carbon fiber extensions. More pictures after the jump! Following the official reveal at the Tokyo Motor Show, more details about the performance figures were released. However, pricing has yet to be announed. But rumours indicate that it could be as much as $200,000. New, ultimate iteration of Nissan's GT-R supercar. 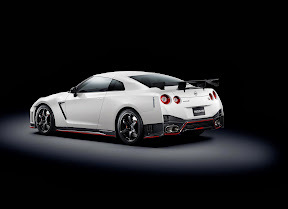 Inspired by the Nismo-prepared GT-R that has competed successfully at the famous Nurburgring 24h race, the Nismo GT-R delivers even greater performance thanks to uprated engine outputs and advanced aerodynamics that generate over 100kg of additional downforce at 300km/h (186mph). - Power is up to 600hp (441kw) thanks to high flow, larger diameter turbos which are used for GT3 racing, improved breathing and optimized individual ignition timing control for each cylinder. - Maximum power is now achieved at 6800rpm, up from 6400. 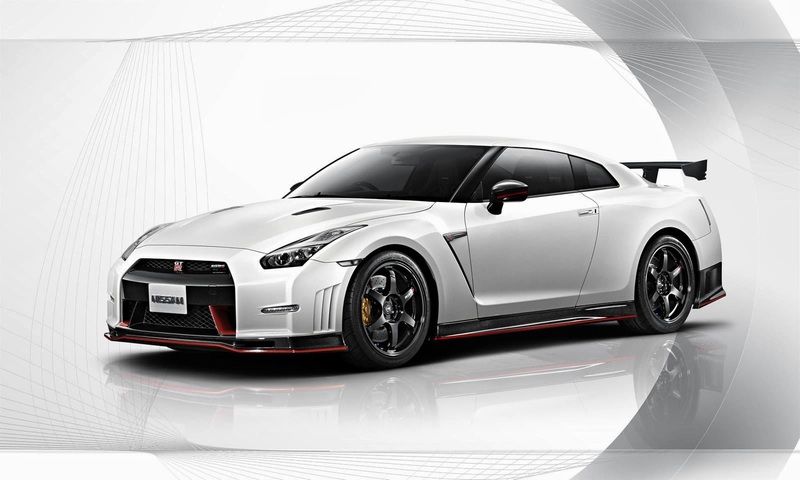 - The suspension is based on the setup prepared by Nismo for Nissan's entry into the 2012 Nurburgring 24-hour race. With some adaptations to improve refinement, reduce road noise and harshness, the setup is designed for stunning agility, road-holding and handing finesse. - To minimize body-roll during cornering and changes of direction, the Nissan GT-R Nismo features a 17.3 mm hollow rear anti-roll bar which raises roll stiffness while reducing weight. - The springs and custom-developed Bilstein DampTronic dampers in the front and rear suspension are specially tuned to deliver exceptional grip levels and progressive handling response at the limit. - Specially-developed links fitted to the front double wishbone suspension increase castor trail to optimize wheel position during high-G cornering and improve straight-line stability. Additionally, large high-rigidity bolts are used to increase stiffness of the wheel-hub attachment area. 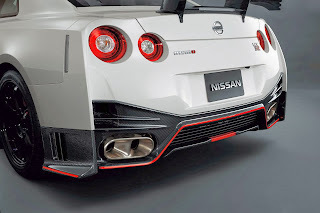 - The construction of the GT-R Nismo's bodyshell now uses adhesive bonding in addition to spot welding for increased rigidity and precise suspension response under extreme load, another example of Nismo "factory tuned" enhancement. - Notable new body elements are the rear trunk-mounted spoiler, the front carbon bumper and its lower front undercover. 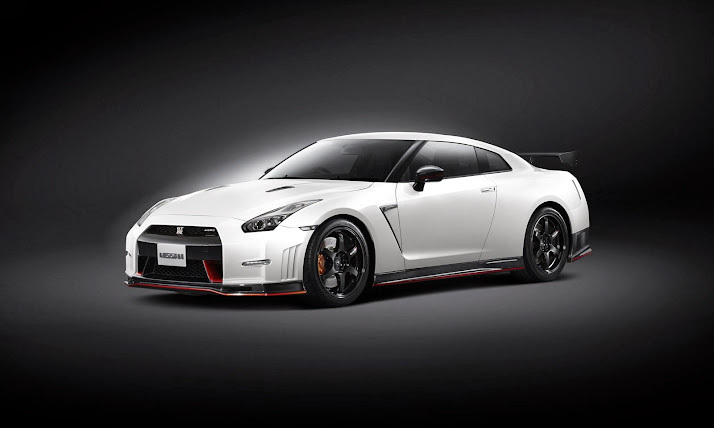 - Together, the front bumper, engine undercover strake and carbon rear spoiler increase downforce, generating an additional 100kg (at 300km/h) compared to the standard GT-R model. A widened front bumper configuration and elongated yet tapered rear bumper design reduce drag to Cd 0.27. 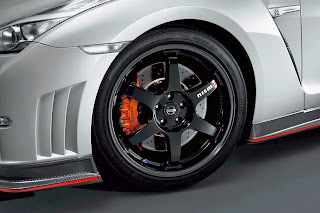 - The GT-R Nismo's black 6-spoke wheels are inspired by Nissan's legendary GT500 race car. 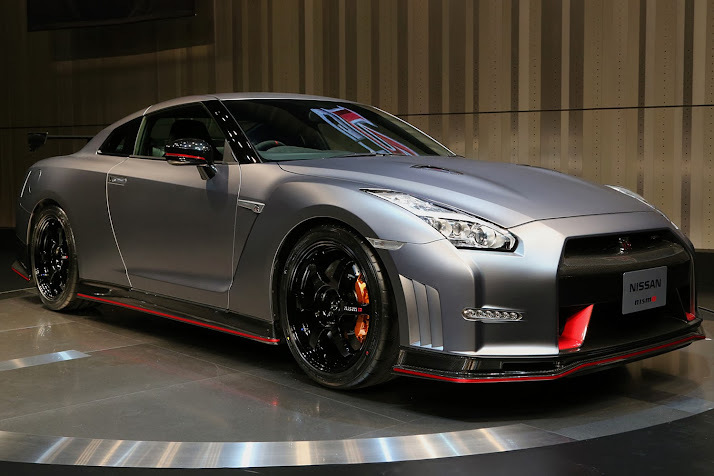 - A unique to the GT-R Nismo model, a Dark Matte Grey has been developed, accentuating the car's imposing exterior muscularity. - Ergonomically sculpted carbon-fiber-backed reclining RECARO seats (EU/JPN) comfortably, yet firmly, support the driver and front-seat passenger. - The Nissan GT-R Nismo has a special steering wheel design which is dressed in Alcantara®, with three spokes, red center mark and red stitching to give the best combination of grip, feedback and comfort. - Interior trim features include discreet red stitching on the seats, center console, door trim and steering wheel. 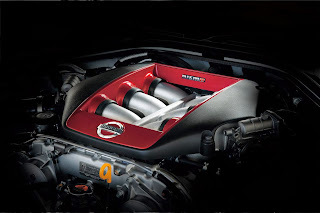 - The GT-R Nismo driver can assess his or her on-track performance by downloading and reviewing digital data from the connected services advanced performance telemetry system. The Nissan GT-R Nismo will be available in Japan, U.S. and Europe in 2014. Carlos Ghosn, Nissan's CEO, will announce the GT-R Nismo's laptime when the car is unveiled at Nissan's global headquarters in Yokohama, Japan at 19:00 on Tuesday 19th November at the celebration of the brand's 80th anniversary in advance of the opening of this year's Tokyo International Motor Show on Wednesday 20th November. I would pee my pants while sitting in that car around the ring, BUT I wouldn't decline if I had an offer. Hell, I would drive/fly myself down there! A scary ride for sure! Comfort, Normal and Race suspension modes are also on the regular GT-R.
@anonymous, yes these modes already exist on the standard GT-R. 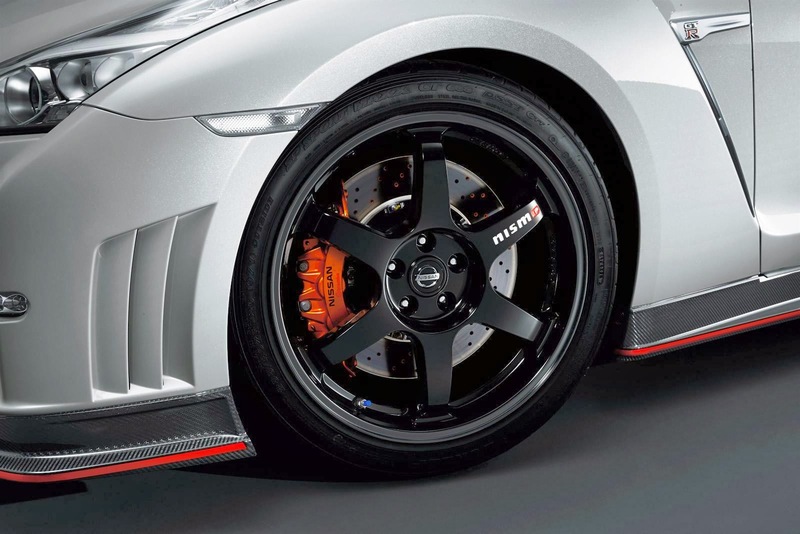 But the NISMO received new springs and custom Bilstein dampers to improve the handling and increase the grip. It's nice from you to report the ambiguity.